Join the Toyota Seatbelt Art Contest. I did! - All Chucked Up! 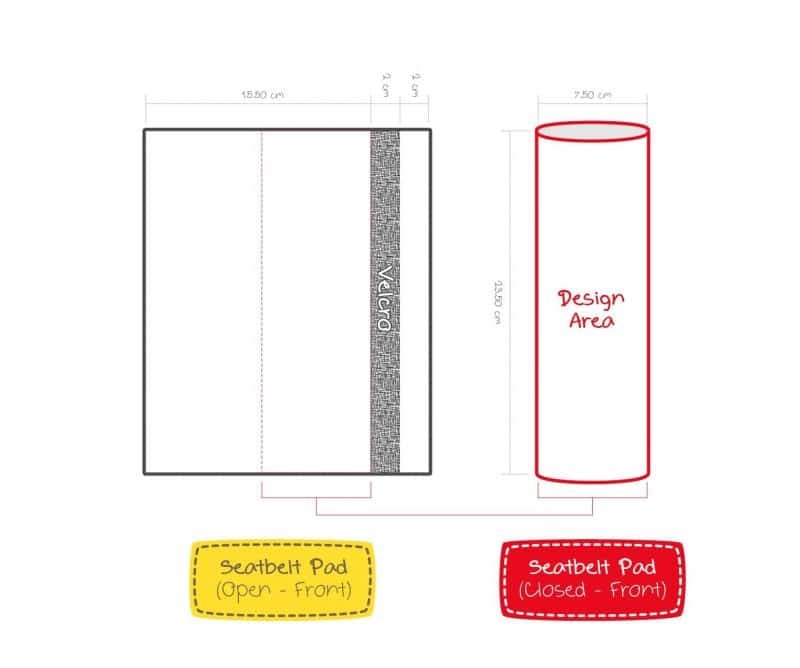 You are Here >> Home >> Featured >> Join the Toyota Seatbelt Art Contest. I did! Join the Toyota Seatbelt Art Contest. I did! Hey everyone! Guess what? There’s a currently ongoing Toyota Seatbelt Art Contest… and I just joined! It’s so cool! I wanted to try out my luck, hoping the judges over at Toyota might find it interesting enough to pass their criteria. Who knows? Basically, Toyota is asking participants to do a seatbelt pad design (either hand drawn or using computer graphics). One important requirement in making the artwork is that the Toyota THUMS (Total Human Model for Safety) mascot should be incorporated into the design. So, considering all the mandatories, I came up with a design which I believe captures the colors of THUMS yet keeping in the minimalist approach which I absolutely love. My Toyota Seatbelt Art Contest entry! I was thinking of a Toyota Seatbelt Art design that wouldn’t come out too cheesy and loud but without sacrificing the requirements needed. I also wanted it to look a bit abstract to give the seatbelt pad some character without overdoing it. 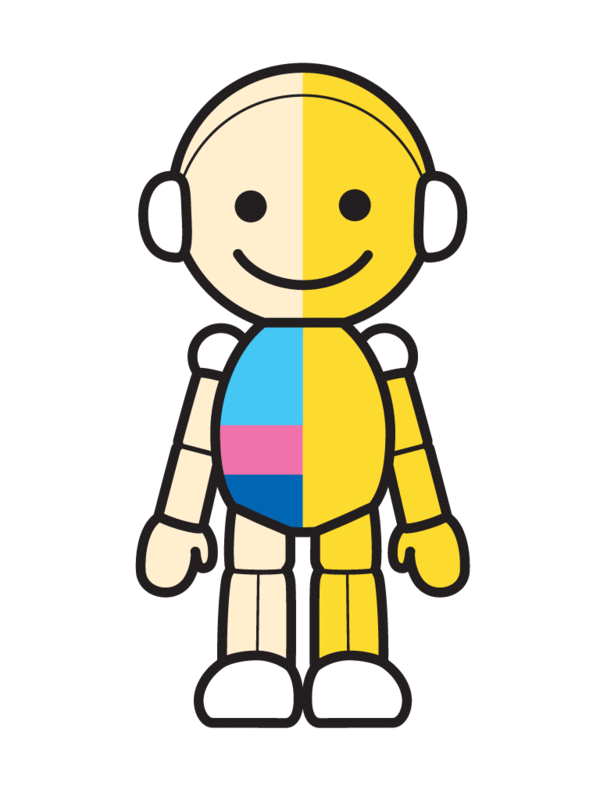 You can see that the background of the “Open-Front” design showcases the colors of the THUMS body with the mascot’s head displayed on the lower right corner. Colorful enough to capture the taste of younger individuals but not loud enough to turn off the more conservative market. 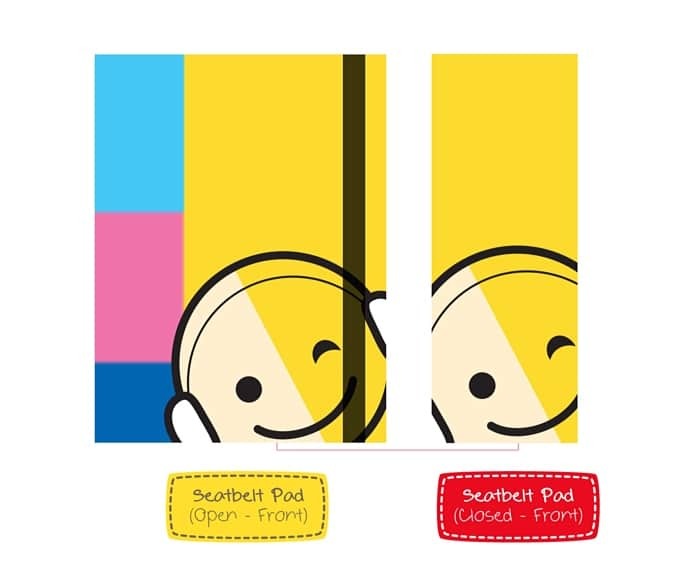 When you wrap the seatbelt pad around in order to close it, the “Closed-Front” design only shows the partial head of the THUMS mascot with its signature yellow color as the background. Clean yet very recognizable. So, did you like my seatbelt art design? I certainly hope so. You can join the Toyota Seatbelt Art Contest, too! Hey… I’ve got an idea! 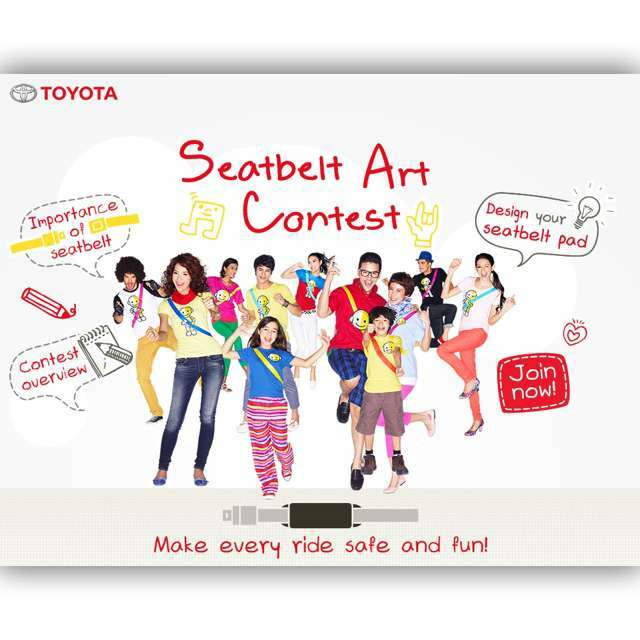 Why don’t you join the Toyota Seatbelt Art Design contest as well! It’ll be great! Don’t forget to include the THUMS mascot in your artwork. Remember, the colors of the mascot shouldn’t be changed or modified. Also, keep in mind that you are designing the SEATBELT PAD and not the actual seatbelt. Once you’re there, choose the participating country you’re in (Philippines, Indonesia, Vietnam, Malaysia or Thailand). When you’ve selected your country already, make sure to JOIN the OPEN CATEGORY by clicking on it. Register: Sign in with your Facebook account to register for the contest. Upload: Upload your seatbelt pad design in JPG format via PC only (no bigger than 2MB in file size). Gallery: All valid entries will be displayed in the contest gallery. Get your friends to vote for you! Contest period is June 30 – August 31, 2014. The Toyota Seatbelt Art Contest covers five (5) countries: Indonesia, Philippines, Malaysia, Thailand & Vietnam. Toyota will select the winners from the top 10 most voted designs in each country. Two winners will receive a grand prize and 10 seatbelt pads of their winning design. Great prizes await the winners of the Toyota Seatbelt Art Design contest so submit your entries soon. You might be one of the lucky winners in the Open/Public Category. Well, that’s it! Simple right? Good luck to all of you who are planning to participate in the contest. Thank you in advance for the much needed support. I certainly hope that after this contest and when the dust finally settles, Toyota’s initiative of making people more aware of the importance of using seatbelts has been achieved.